Wow, sad that you lost all those chickens, but very cool to see those animals in the wild! It is! I grew up in the woods of Pennsylvania, and NEVER saw this many animals! They’re all moving to the suburbs too! 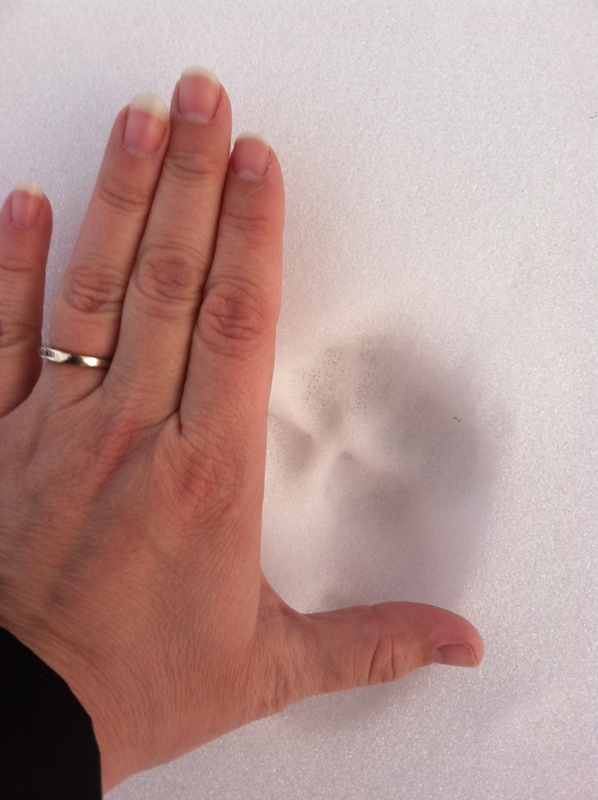 Seems like the local animal control officers (might) have a clue … doubting it, but maybe. Is it ok to shoot a wild animal in your neck of the woods? Short of that, maybe motion detection lights and “predator” (human?) urine scattered about. No shooting over here. 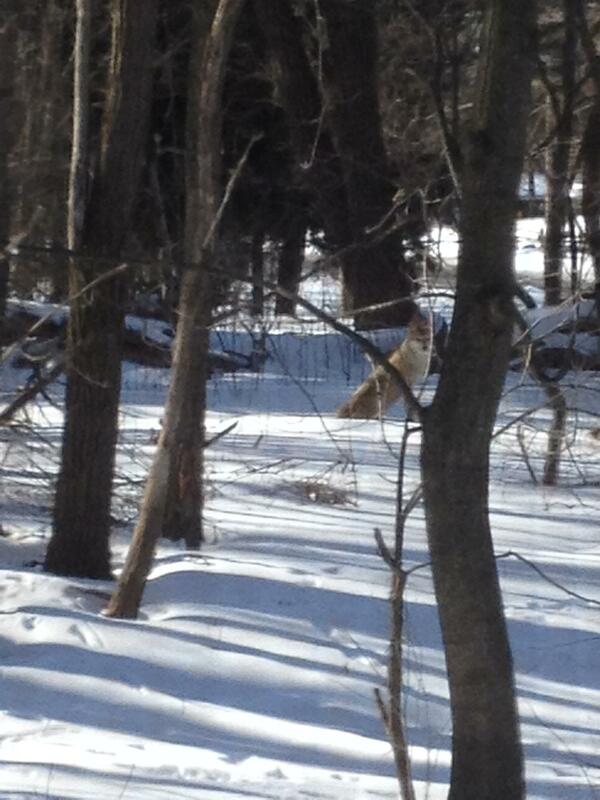 We called the animal control when we first moved in and saw the coyote, and he said “You’ll never see him again.” Ha! I’m not too bothered by them, since they control mice, snakes, etc. We’ll just have to be extra cautious with the chickens. No more free-ranging, unfortunately. Thanks for the article!! I lost many of my chickens last season in the middle of the day here in Solon. I have 8ft high fencing around their pen. 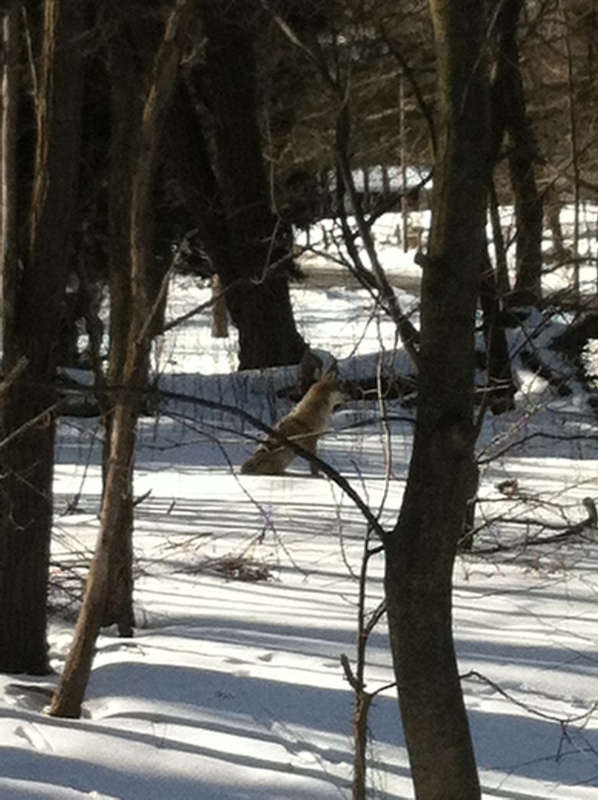 My next plan, since the onset of the stealth coyotes and fox, is to put up my electric fence to surround the coop area. The fence is movable and simply is held up by plastic poles. I am also looking into building a rather low and wheel mounted chicken or hardware wire box. I think even a couple of them about 2ft high by 8X8 so the birds can free range in a substantial area. They will be easy to move through out the day and the hawk fly thru will be stymied as well. I will attach a water system inside and a small feed bowl for extra tasty morsels for the girls and a nesting box. I’m thinking 4 to 6 birds to a box. Lastly, I have some red rice lights from Christmas. Time to try out my next night idea, putting them on a timer and strategically placing them in the coop area to have the appearance of small animal eyes. I have seen the “night eye” offering in my journals on chickens and would think I can get the same effect to dissuade the lovely night creatures. Great news here at Honey Bee Good, my bees have survived the winter! 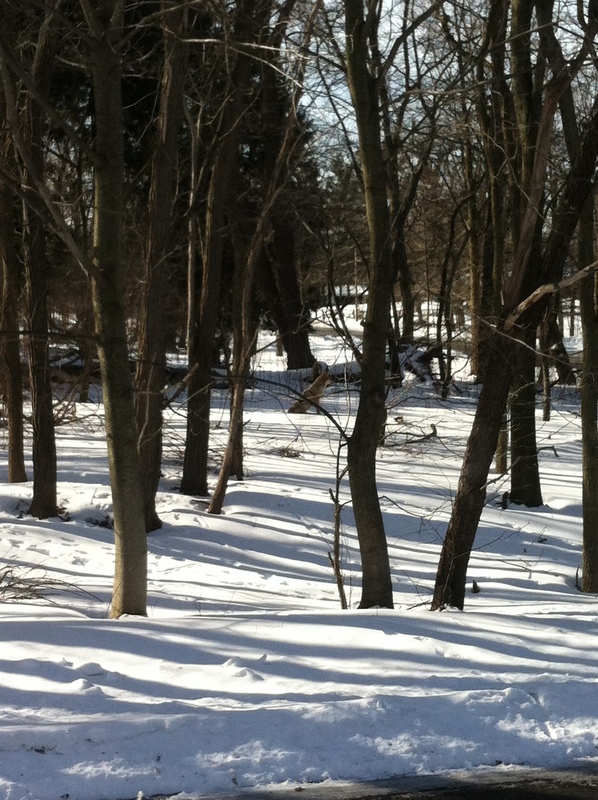 On the days that the temperatures have been above 50 degrees the girls are out foraging already. Unbelievable!!!!!!!!!!! Also the barred owls have nested again, will keep you posted on the clutch size if we can determine the owlette numbers this year. That’s crazy that the fence is 8 ft high and they still got in! We’ve lost some to hawks here and there, but never that many all at once. I think we are going to try a chicken tunnel (aka “chunnel”) so they can go from the coop, and into the garden to help weed, all while under a fenced in tunnel. We’ll see though. Good idea about the lights! Glad to hear the bees and owls are doing well! We’d love to come see your hives sometime! Love the chunnel idea…….hmm….that might work in my attatched garden. Thanks. Absolutely astonishing!!!! gives a person the chills…. Those footprints look like they belong to a pretty decent sized bobcat. Be careful out there. Coyotes are everywhere these days. They kill cats in my town pretty often. Maybe you should build a nice long, protected run for the chickens. Hope you keep those coyotes at bay! Thanks for sharing the pictures. We have a nice run for the chickens currently, but I think I’m going to try to craft them a secure area to roam a little more. Thanks for checking in!